Social connection and healthy lifestyles are promoted through Cire Community House’s Pram Walkers group. Pram Walkers is a new activity for Upper Yarra parents to join, which will improve health and fitness, get parents out of the house and into fresh air and provide them with opportunities to meet other community members. 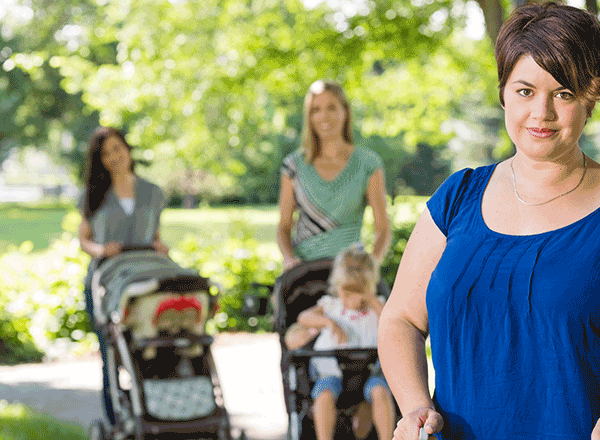 Facilitated by Kate Downward of Fresh Air Health and Fitness, Pram Walkers is a walking group for parents with young children who meet once a week. Through her fitness group, Kate is “dedicated to helping women get fitter and stronger” and providing an opportunity for children to see their parents as healthy role models. As a mother of two, Kate takes this approach with her to Pram Walkers, promoting exercise and healthy lifestyles while understanding the happenings of parenthood. Pram Walkers is a great way to introduce exercise to busy parents’ lives, as it gives the opportunity for healthy exercise while linking parents to others within their area, creating networks and allowing the possibility for friendships to develop. The group is targeted to parents with children ranging from newborn to preschool age. Parents can bring a pram or a carrier sling to transport their children. Pram Walkers can provide parents with benefits such as improved physical and mental health through exercise, social support from peers, time to enjoy the beautiful surrounds of the Upper Yarra Valley and the support of an experienced walking facilitator. What to bring: a pram or a sling to carry children in, water for you and your child, comfortable clothing and walking shoes and sunscreen and a hat in the hotter weather for yourself and your children. Pram Walkers is held every Wednesday at 9.30am. Participation is by gold coin donation. No booking is necessary. Pram Walkers is currently meeting outside Cire Community House (2463 Warburton Hwy, Yarra Junction), but will be changing locations further into the year to continue exploring the wonderful area we live in. To keep up to date with meeting locations, please follow Cire Services Facebook page and look out for Pram Walkers posts every Tuesday. Alternatively, you can contact Simone at Cire Community House to find out meeting locations or for further information about this group. Cire Community House has lots of exciting activities planned for 2018. Keep an eye out for our Community House Term One Guide, which will include a range of courses, groups and events.